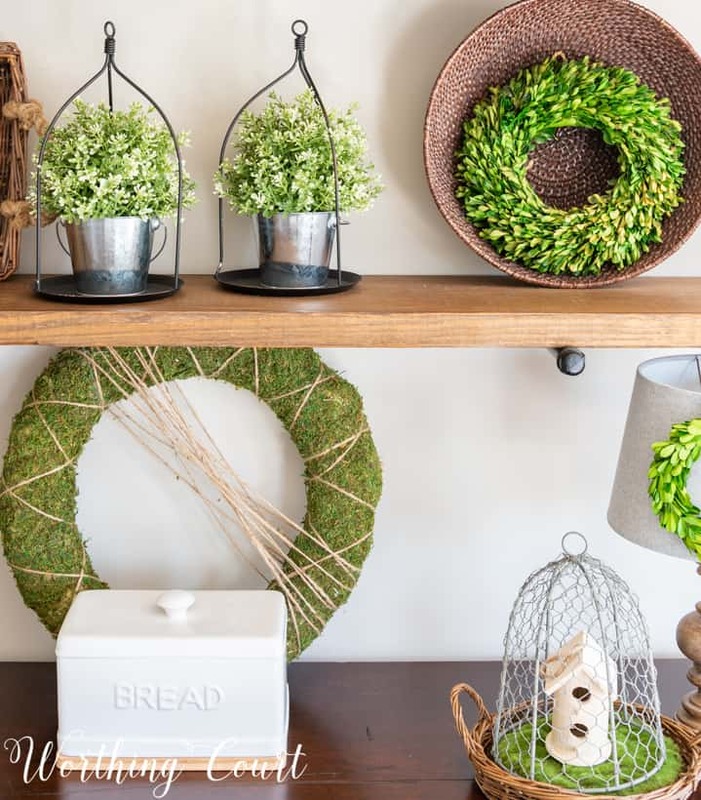 Don’t run to the store when decorating your home for spring! Save money by shopping your own spaces. You’ll be pleasantly surprised at what you already own that you can use. My home is all freshened up and ready for spring! 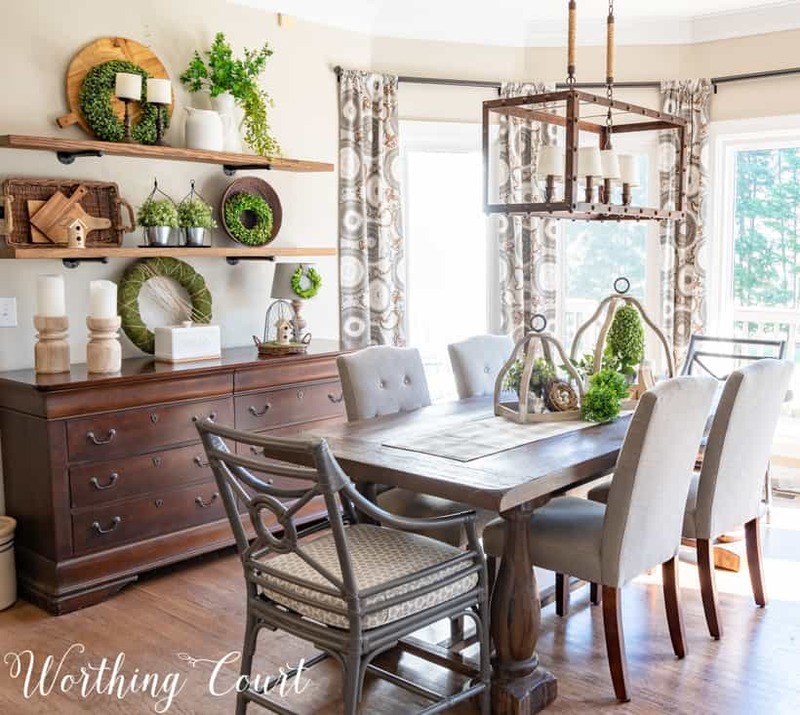 I’ve teamed up with an amazing group of bloggers this week to bring you a multitude of ideas for adding spring to your own spaces. A big thank you to Jen from Noting Grace for putting this together! If you’re coming over from Seeking Lavendar Lane, welcome! Isn’t her bunny pillow adorable?!? I’ve been following Deb’s home remodeling journey for the last several months and am so inspired by all that she’s accomplished. Every new project she completes is creative and quite frankly, amazing! If you know me at all, then you know that when it comes to decorating my home, my motto is to use what I already have as much as possible. My whole purpose for being in the blogging world and on Instagram, is the hope that my decorating ideas will inspire you to take a look at what you already own with fresh eyes too. 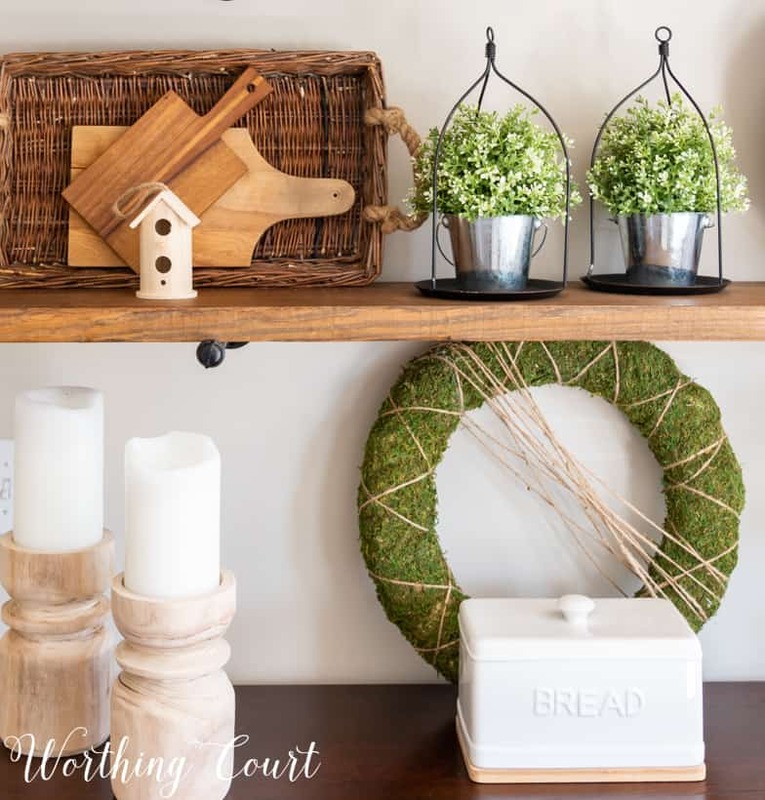 It’s always tempting to me to run out and buy all the latest things, but I’m a budget decorator at heart, so I love to be able to pull from my stash and only add one or two new items to keep things fresh and current. I took a natural organic approach for all of my spring decorating this year and am excited to share one of the first spaces in my home that gets changed up for every season – the open shelves in my breakfast room. I added the shelves directly above my thrift store score that I use to store a lot of my kitchen and dining essentials. Take a look at everything I have stored in it HERE. Boy, that whole area has changed to much in the last 4 years that we’ve lived here! Any time that I do any seasonal decorating, I always try to take a look at what that particular time of year looks like outdoors. Trying to incorporate what you see out of your windows into your home decor helps to keep things from looking too forced. When I’m outside this time of year, I see lots of texture, green everywhere, natural wood and birds. In fact, the birds are eating me out of house and home right now! 😀 Birds are back in abundance this time of year, so incorporating nests and birdhouses into your spring decorations is a natural fit. Adding white pitchers, candles and containers ramps up the freshness factor that always goes along with spring. So, the moral of the story? 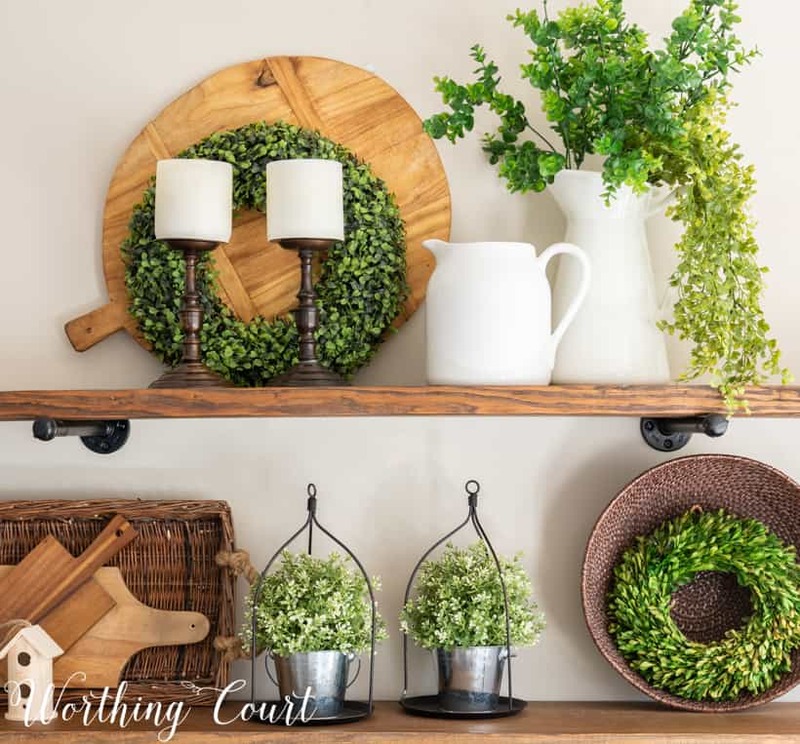 Take a look in your closets, attic and even at what’s already displayed in your home to see what you can put to use to create a fresh new spot for some spring decor! 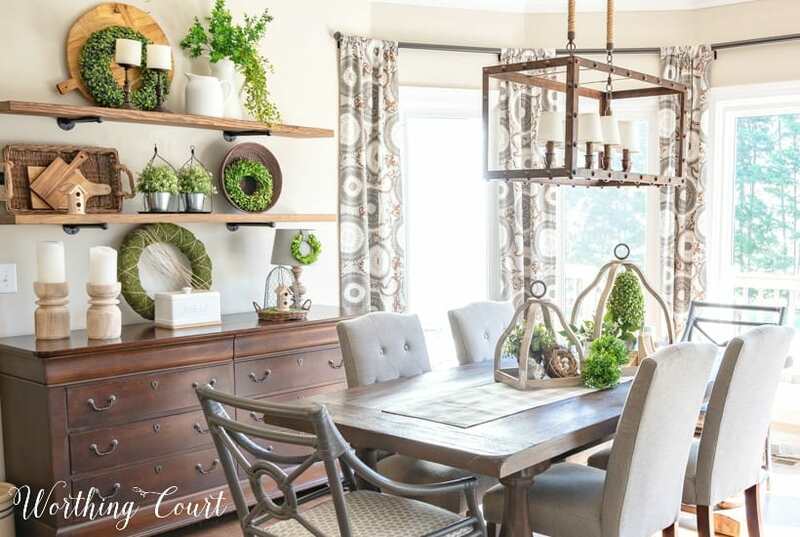 You don’t want to miss the next person on the list, so head over to my sweet friend Kendra’s blog, Joy In Our Home, for a yummy recipe that’s perfect for spring. I can’t wait to make it! And for so much more spring inspiration, take a look at the list below! SO lovely Suzy! 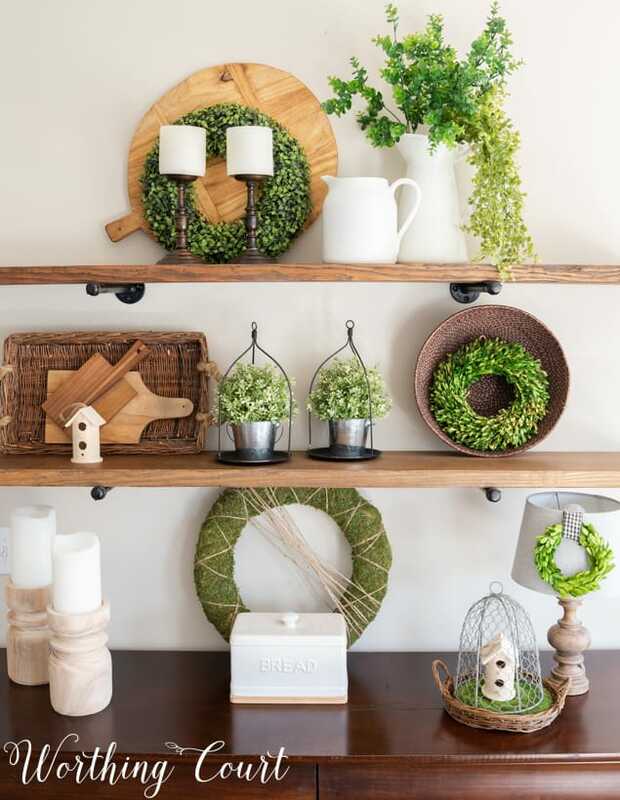 I always look forward to seeing how you style your shelves each season! Happy Spring my friend! You’re always the sweetest! Thank you SO much, Kristi! I love how fresh and classy this looks! I agree, that I love to look outdoors to find inspiration and its gorgeous how you added in birdhouses and all the greenery! So inspiring Suzy! Have loved touring with you! 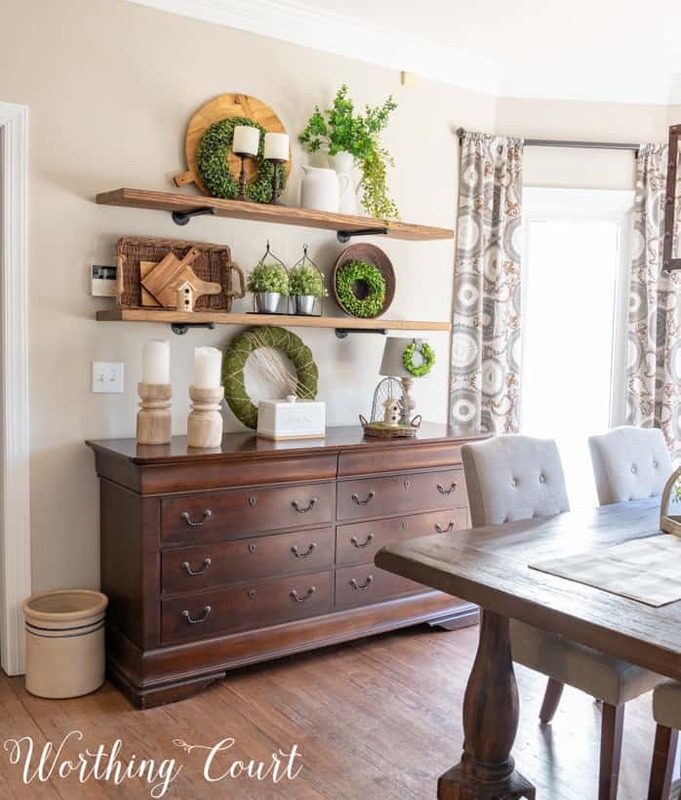 Your home is always such a lovely source of inspiration, Suzy! I love how you created this Spring space. I love shopping my house! Your shelves look beautiful!! Suzy! I always love to see what great things you create each season, and this one is exceptional! Thank you for joining us for I DIYed that! I’m honored you joined us! Everything is just so pretty Suzy! 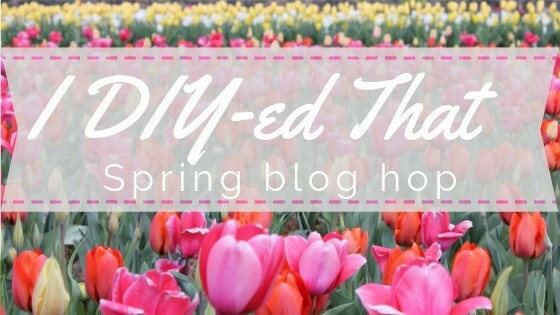 So happy to be a part of this talented blog hop. All the pretty greens look so great in your home. I love the way you decorated the shelves.